The real solution to the housing crisis is to build affordable housing. 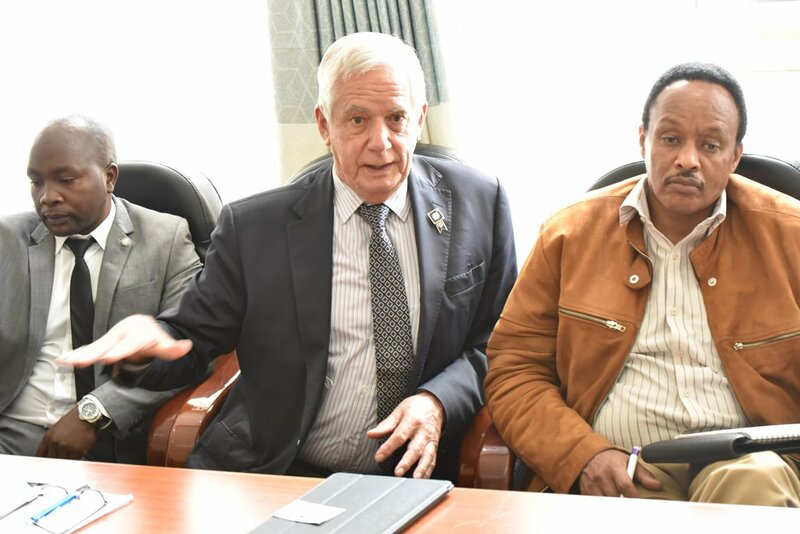 In line with this and the National Government’s ‘Big Four’ agenda, the County Government of Nandi is eyeing partnerships with private investors and developers who can construct affordable housing units of houses in Kapsabet and other towns in Nandi. CECM in charge of Trade, Investment and Industrialization Dr. Kiplimo Lagat and his counterpart for Administration and E-government Mrs. Teresa Morogo today co-chaired a follow-up meeting between the county government and Bora Capital Limited (Real Estate Investment Managers), who have expressed interest to work with Nandi in addressing the issue of housing, to discuss on possible partnership. This forms part of Private Public Partnership (PPP) the government considers in accomplishing some of the projects and programs as enshrined in the County Integrated Development Plan (CIDP) with an aim of transforming lives of Nandi residents. The two members of executive committee welcomed Bora Capital Limited to Nandi and assured them of smooth process of acquiring necessary documents to invest in Nandi. Once the housing crisis is addressed, it will spur the county’s economic growth by cutting down the commuting cost and also uplift the face our towns attracting more investors.